I just want to start off by saying that I am, in fact, a fan boy of all of the titles by Fumito Ueda. And if I have any information wrong please feel free to correct me by posting or a PM and I will change it. I am always looking for more information on this game. This man is a complete genius and deserves all of the respect of all the gamers around the world for his work on this game as well as Ico and Shadow of the Colossus. This is the third game that has come from the development team behinds those titles, and with all hope it is far from the last. 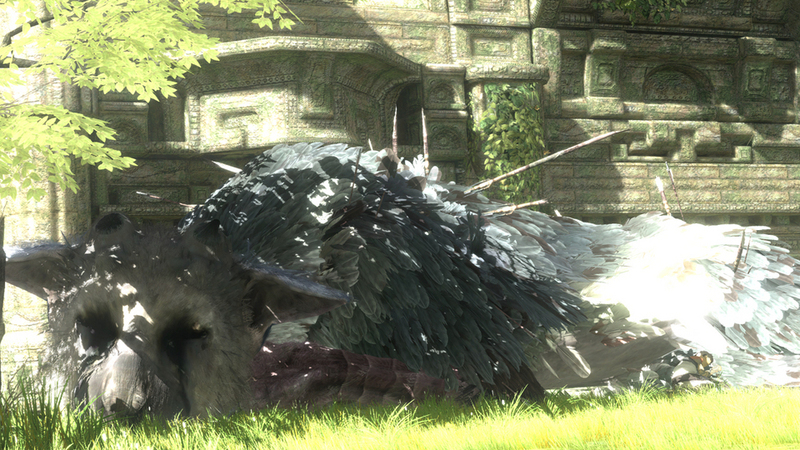 The Last Guardian is a 3rd person, 3-D, open world adventure focusing around the relationship of a boy and a mythological creature known as Trico. 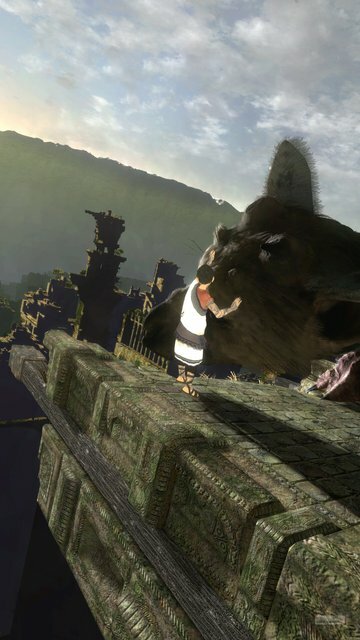 “The name of the creature, Trico (pronounced Toriko), can be taken to mean "prisoner" (虜 toriko), "baby bird" (鳥の子供 tori no kodomo)"(yeah, thats right, "baby bird", this creature is freaking huge and it can still be a baby to its kind)", or a portmanteau of "bird" (鳥 tori) and "cat" (猫 neko).”*1* The style of the game is following closer to Ico, with the idea of the relationship of the boy and Trico being closely based on the work that was done with the Wanderer and his horse Agro in SotC. As you can see from the screenshots from the game, this really is going to be an extraordinary piece of artwork with an amazingly detailed world. 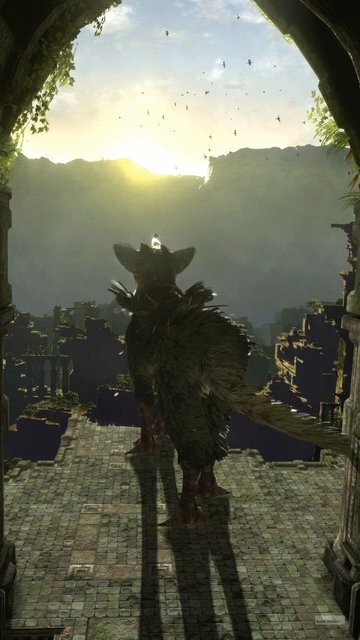 According to what I can find on the game, it is about the boy and Trico being trapped in a fortress and having to find thier way out. The game will consist of several puzzles and enemies to defeat similiar to Ico. Sorry I can't add more to the preview but just wait for the review of the game when it comes out. Well, I can't wait for the release of this game, I already have it preordered and actually paid off already, so all I need is time for this to happen. *1*-Taken straight from the Wikipedia website for The Last Guardian. The direct copied wording is displayed in GREEN. Click HERE for the link. Thank You Wikipedia. when it comes out. Excellent game preview, keep'em coming! Very nice job on the game review. Keep'em comming! I hear of this game it's going to be awesoooooooom!